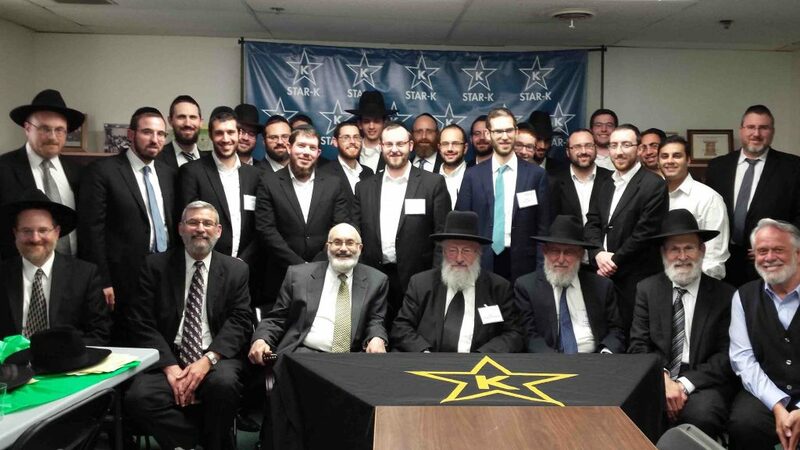 Portland, Oregon and Richmond, Virginia, were just two of the locales that participants traveled from to attend STAR-K Kosher Certification’s back-to-back seminars in its Baltimore offices. The 13th Annual STAR-K Kashrus Training Program was held August 1-4, followed by the Food Service Kashrus Training Seminar, August 8-10. 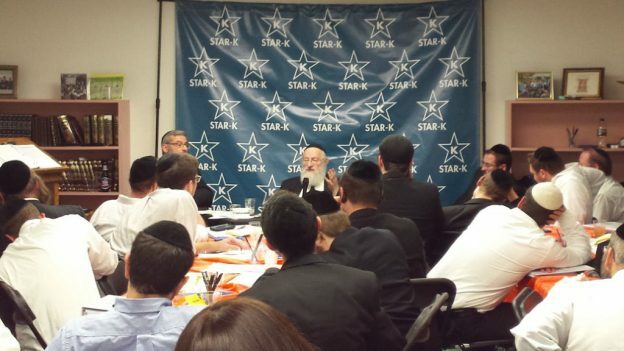 Both certificate programs featured a Q & A session with STAR-K Rabbinic Administrator Rav Moshe Heinemann, as well as a variety of lectures by STAR-K Kashrus Administrators, tours of STAR-K-certified establishments, hands-on vegetable checking practicums, and an optional visit (led by Food Service Kashrus Training Seminar coordinator, Rabbi Sholom Tendler) to Kreider Farms—home of Pride of the Farm milk–in Lancaster, PA. The first seminar even included a live nikkur demonstration of a calf. Rabbi Yitzy Mandel and Rabbi Simcha Snaid, kollel yungerleit of Yeshiva Chofetz Chaim in Queens, New York, found the Kashrus Training Program invaluable in preparation for their post-Tisha B’Av move to Louisville, Kentucky, where they hope to rejuvenate Yiddishkeit for the 8500 Jews living there. “The more informed we are, the better we are able to give over the information,” noted Rabbi Snaid, the new Rav of the Orthodox Congregation Anshei Sfard. He anticipates using what he learned for the Shabbos Project they are planning in a hotel, as well as for their new organization, KITE—Kentucky Institute for Torah Education. Rabbi Rephael Yehuda Frankel and Rabbi Dovid Norman—both of whom learn and answer shaylos at the Bais Horaah of Lakewood—also participated in the seminar. 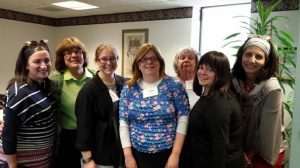 The STAR-K Food Service Seminar provided something which the Kashrus Training Program didn’t—a separate section for women mashgichos. Ilene Paley, of Richmond, Virginia, first-time attendee, says she calls STAR-K’s Kashrus Hotline with her shaylas three or four times a month for the past 12 years, in her capacity as the mashgicha of the local JCC and her shul, Keneseth Beth Israel. 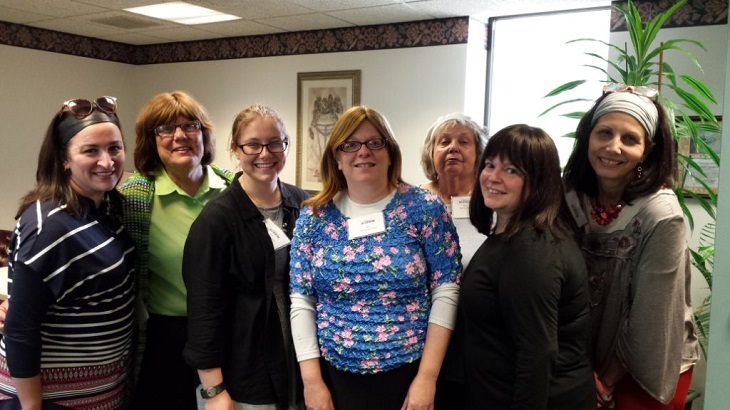 Other Food Service seminar participants attended for a variety of reasons. Pauline Kleinburg of Cherry Hill, New Jersey, works with the Cherry-K Vaad, overseeing the Kosher Experience in ShopRite and Rita’s Ices. She hopes that her knowledge of kashrus will help grow her Jewish community. Entrepreneur Leah Mikeladze, who produces Dips by Leah, came because of the “huge achrayus” she has in ensuring that her customers receive the level of kashrus they expect and deserve. Rhonda Lehman, of Silver Spring, Maryland, had a four-fold purpose in mind when she signed up: to help ensure the highest level and standard of kashrus for the chesed events she organizes and coordinates; to educate others on kashrus issues or concerns; to be a volunteer mashgicha for those who can’t afford one; and to help establishments become kosher certified. And, Baltimorean Eve Messing, a newly retired teacher, wanted to explore the field of kashrus to see if it was something she would want to go into.